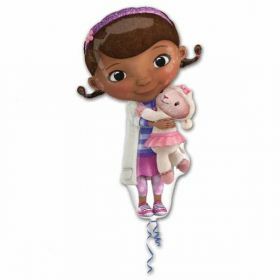 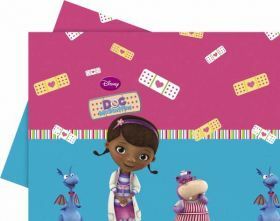 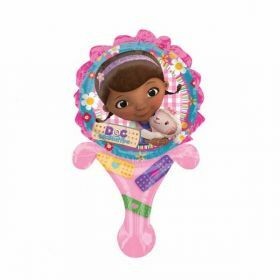 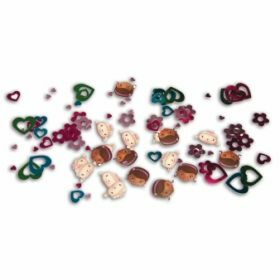 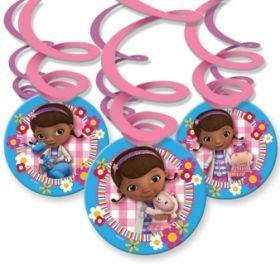 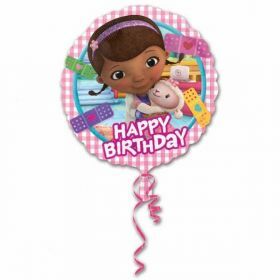 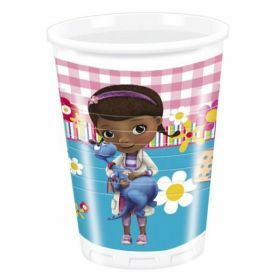 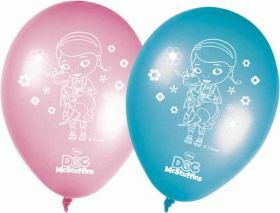 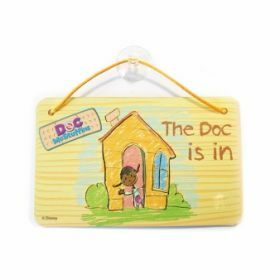 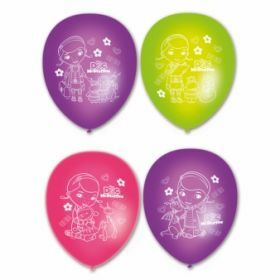 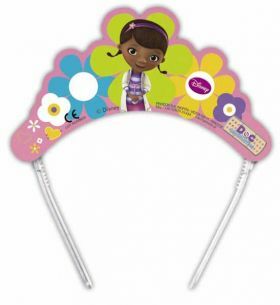 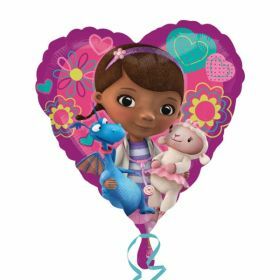 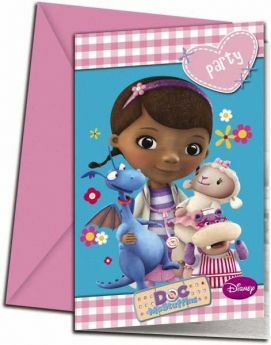 Disney Doc McStuffins Party Tableware pack for 8 including 8 bags pre filled. 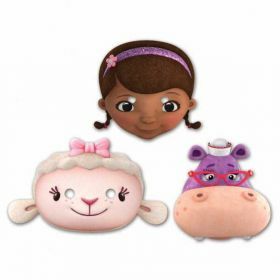 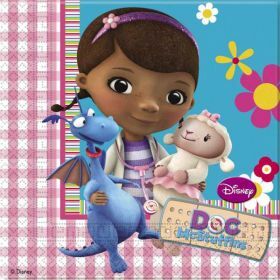 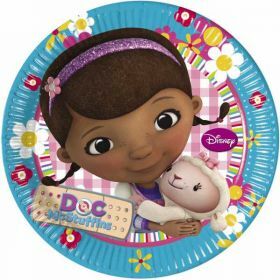 Disney Doc McStuffins Pack includes 8 Cups, 8 Plates, 16 Napkins & 1 Tablecover plus 8 Doc McStuffins filled party bags each containing - 1 x Notebook 8cm x 12cm, 1 x Stickers 7cm x 3cm, 1 x pack of Crayons 6cm, 1 x Ruler 15cm, 1 x Flump Sweet. 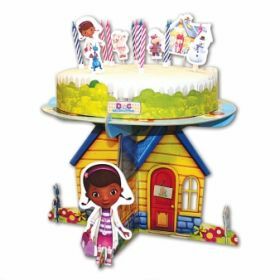 Age 3+. 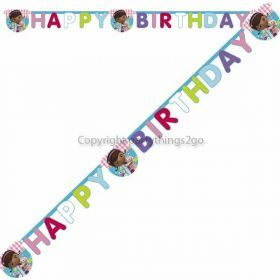 Please note contents may vary according to availability and may not be to scale in the party bags.